3BD/3BA + Den. 2 story home with Fresh interior paint and Carpet. Well maintained. New AC. 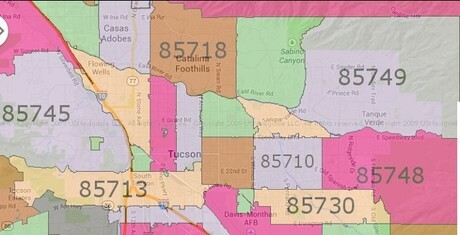 Tucson has many popular areas and communities. The city's climate attracts visitors and residents from all over the country and the world. Many people are attracted by the University of Arizona. Both students and faculty make up a valuable portion of our local community and culture. Davis Monthan Air Force Base is also a huge contributor to bringing families to Tucson. Green Valley, Tucson and Oro Valley are all very popular with Baby Boomers and more and more people retire to Arizona each year. Of course all this great weather makes Tucson a haven for golfers!